Accessories your shawls, wraps and cardigans with Symfonie Lilac shawl pins available in eight beautiful shapes. 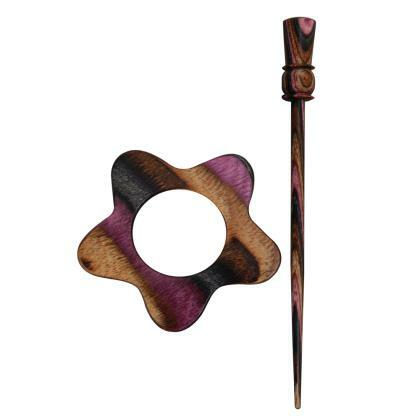 Made of densified laminated Birchwood, these shawl pins are sturdy, pretty and add a touch of elegance to your garments. Shawl pins are a must have accessory for those who love to flaunt knitted lace shawls and wraps. These keep your garment secure on your shoulders while adding a touch of elegance to your outfit. 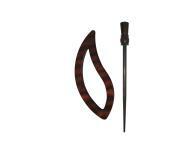 Available as individual shawl pins in eight different shapes.